NOTICE: Activation key must be used on a valid Steam account. Requires an internet connection. 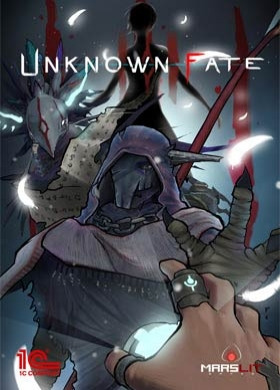 The game is VR compatible with a virtual reality headset HTC Vive.About the game	Unknown Fate is an enigmatic story-driven action adventure set in a surreal world full of mind-twisting puzzles and bizarre creatures. Set off on an amazing journey through Unknown Fate, a strongly story-driven first-pers… on adventure with many puzzles to solve and enemies to beat. Become Richard, who suddenly passes seamlessly from the real world into a surreal universe. You’ll encounter strange characters, unfamiliar artifacts and scenes resembling Richard’s former life, of which he has lost all memory. Yet, he knows that this is not where he is supposed to be. The world he has come to inhabit is strange and distant. He feels the urge to find out more about this surreal universe and the creatures inhabiting it, in order to find a way out – out and back to his real self, his real life that he knows he has yet to fully recall.Engulfed in mystery, you take cautious steps deep into the unknown, only to have your mind swept away by yet more questions, nibbling at your grasp of what you think is real and true – your certainties will start to crumble.With no way back and a strong urge for answers beating in your temples, you push on, striving to get a grip on the odd difficulties surrounding you, eagerly awaiting the moment your mind will become untangled when the thread of your journey finally unravels all the way. But there is some way yet to go…“Soon you will have all the answers to your questions. But you still have so much to see…” system requirements Windows - Minimum OS: Windows 7 / 8.1 / 10 Processor: Intel Core 2 Duo, 2.2 GHz Memory: 4 GB RAM Graphics: GeForce GT 430, Radeon HD 5400 or HD4000, 1GB VRAM; 1280 x 720 resolution DirectX: Version 9.0c Storage: 8 GB available space Sound Card: Compatible with DirectX®: 9.0c© 2018 1C Company. Developed by Marslit Games. All rights reserved.